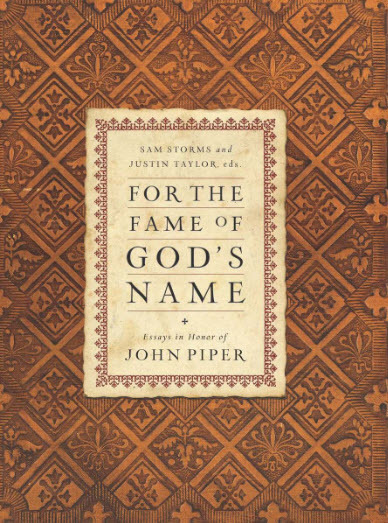 For the Fame of God’s Name is at a collection of essays by some of America’s most eminent theologians and pastors, written ‘in Honor of John Piper’. Clearly, these men are great admirers of Piper’s ministry and want the world to know it. 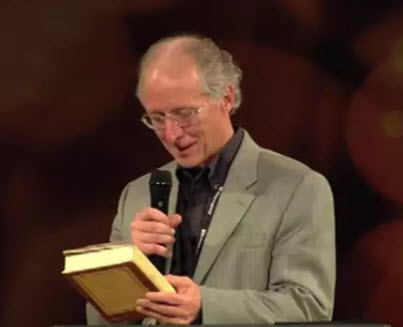 They obviously believe that in John Piper the Church of Jesus Christ has a great spiritual teacher that needs to be made known yet more widely, and honoured for his unparalleled contribution to the Christian Faith in our day. However, for the sake of truth, we must raise our concerns that John Piper’s ministry is likely to mislead Christian believers. We single out three stands in Piper’s teaching to make our point, and encourage our readers to evaluate Piper’s teaching in the light of biblical truth. Published in 2010 by Crossway, For the Fame of His Name, is made up of essays written by 27 leading theologians in the USA. Key contributors include: D. A. Carson; Sinclair Ferguson; David Michael; Wayne Grudem; Albert Mohler; Justin Taylor; C. J. Mahaney; David Powlison; Mark Dever; John MacArthur and David Mathis. 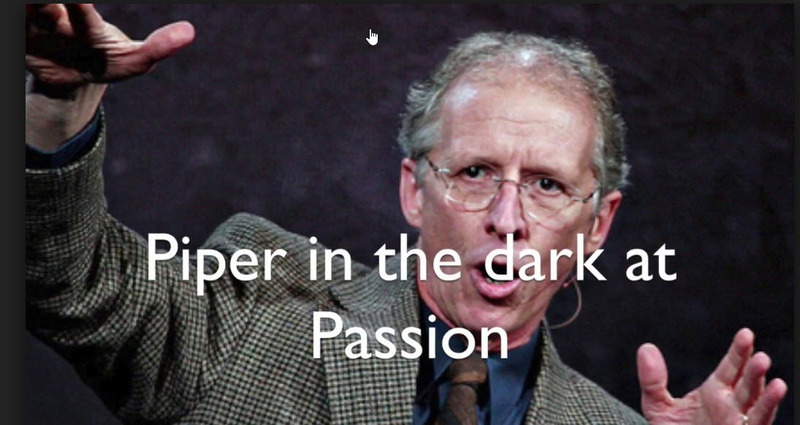 ‘John Piper has had a profound impact on countless men and women over his thirty years of pastoral ministry. From his online ministry with Desiring God to his preaching ministry at Bethlehem Baptist Church to his writing ministry in over thirty books, his faithful service has encouraged, challenged and corrected many who are thirsty for God’s Word. 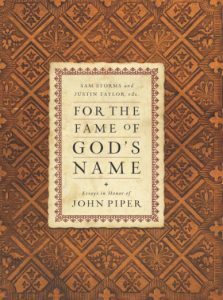 ‘Piper’s influence does not stem from his own abilities and accomplishments but finds its source in his consistent and humble leading of others to Scripture, where the breathtaking sovereignty and glory of God are displayed in all their wonder. We rejoice and are changed as we encounter glorious truths about God in Piper’s ministry. This is at pains to emphasise Piper’s scriptural credentials. Mark Noll, Professor of History, University of Notre Dame, says that the authors of this book ‘offer the best sort of tribute by seriously engaging the Scriptures to which Piper is committed, earnestly expounding the classic Calvinistic doctrines into which Piper has breathed such life, and zealously promoting the glory of God to which Piper has devoted his ministry’ (my emphasis). ‘His has been a God-centered ministry. In this he has sometimes been unconventional, but the explanation is always that he has insisted on seeking to be true to the truth of God’s Word’ (my emphasis). So what are we to make of this book in praise of John Piper, and, by implication, of his doctrine of Christian Hedonism? At least two times in [the book] Desiring God the statement is made, “God threatens terrible things if we will not be happy” (pages 9, 289). What evidence is given, what Scripture is quoted, to support this allegation? If there is no legitimate Scripture to back up this frightening allegation, it amounts to little more than scare tactics and abusive attention-grabbing verbal stunts. Such approaches to Bible study are not edifying, not helpful, nor are they in compliance with the Word when it says to accurately divide the Scriptures. But is Desiring God quoting Deuteronomy 28:47-48 in a legitimate manner? Does Deuteronomy 28 really threaten believers with curses, “terrible things”, and destruction if they are “not happy” enough? No, bluntly stated, Desiring God does not properly quote, nor interpret Deuteronomy 28 in a manner that any Christian should find legitimate or proper. And nowhere in all the Bible is there a passage of Scripture, when quoted and interpreted in context, that says God will curse and destroy believers for not having sufficient gladness or happiness. A special matter for concern is Dr. Piper’s use of Scripture, because his books appear to establish every point with a host of relevant quotations. He takes the reader through every step with biblical validation. This obviously commends his viewpoint to readers, but the Scriptures quoted never actually support the thesis Dr Piper presents. I do not for a moment suggest that his use of Scripture is devious or manipulative, but he is clearly so carried along by his ‘vision’ that he sees corroboration where it is not to be seen. Here are some examples of this. The above evaluation is an example of how Piper twists Scripture to support his ideology of Christian Hedonism. Other significant examples are discussed in my book Christian Hedonism? Ever since the publication of his book Desiring God in 1986, the focus of Piper’s ministry has been to promote his philosophy of Christian Hedonism, described in some detail in Christian Hedonism? : A biblical examination of John Piper’s teaching (2017). Those men, who have praised Piper’s ministry in such glowing terms in For the Fame of God’s Name, have become partakers of his false ideology of Christian Hedonism. Although many errors of Piper’s ministry are blatant, it seems these men, for whatever reason, are reluctant to speak out against Piper’s false teaching and defend the Gospel of Truth. This book tells us much about the state of Christianity in the USA. 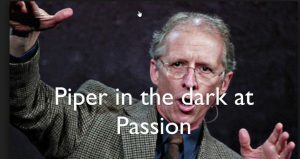 Despite the obvious errors in John Piper’s influential ministry, the great and the good in American theology are so given over to Piper’s flawed ministry that they are unwilling to offer any challenge. Instead, by their participation in For the Fame of God’s Name they have most unwisely endorsed the false gospel of Christian Hedonism. The apostle John writes: ‘For he that biddeth him God speed is partaker of his evil deeds’ (3 John 11).